I posted about the baby's room a few days ago and showed you the concept board that I'd created. Well, I took the plunge and ordered the rug and it's here. It's great. 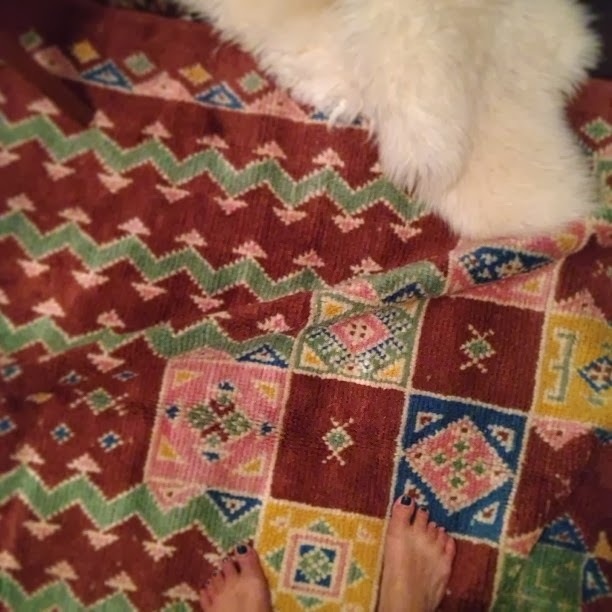 There were so many photos from different angles and zoomed in close on the Esale Rugs site that I knew exactly what I was getting. It's soft underfoot and I think will be very versatile in the future. Here's a little instagram pic. As I'd mentioned previously, the basement and guest room were sort of all cast off items but I'm determined this year to make the spaces look more designed and deliberate. I'd found this photo on pinterest from photographer Ida Lindhag that I thought would make a great starting off point for the guest room. 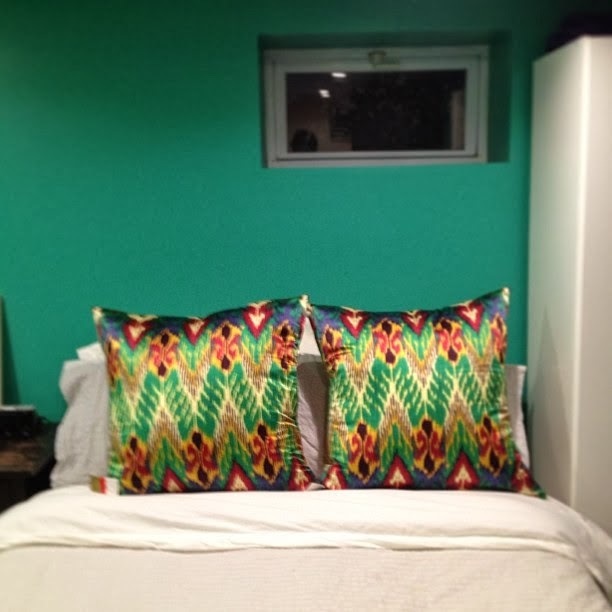 So I went really bold on the teal walls but knew I wanted to throw in some burgundies to balance it - similar to the pillow in the photo (although I can't say I like the Marimekko bedding). I also stopped by Homegoods today and scored these great pillows which I think start giving the guest room some personality. Now what to do about the nightstands, art and what sort of DIY to do to dress up the IKEA armoire. Suggestions? Wow.. nice color selection.. looks great.. you have nice taste.. I love the teal walls with the pillows. Where did you get the penguin art? I love it.